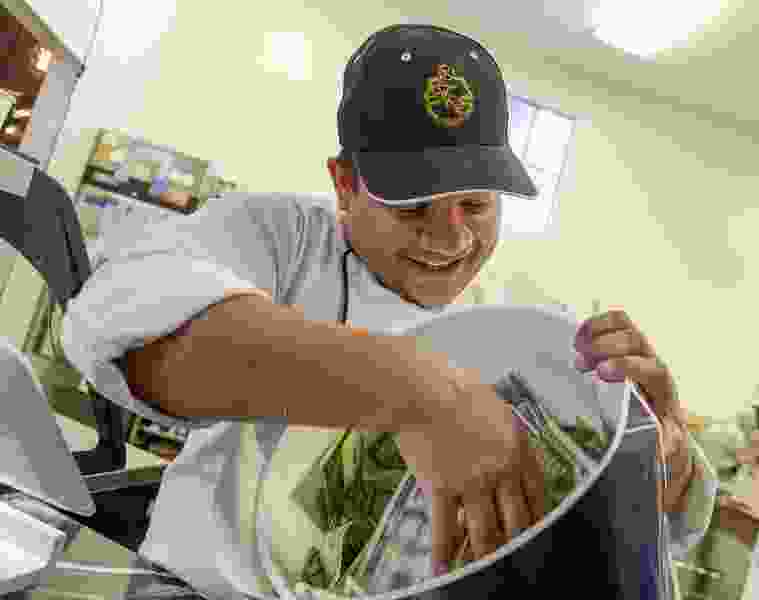 Leah Hogsten | The Salt Lake Tribune "This community has stepped up and completely blown me away," said Adalberto Diaz Labrada, chef and owner of FIllings & Emulsions bakery, tossing more than $14,000 collected on Friday. The owners of two Salt Lake City bakeries, Fillings & Emulsions and Gourmandise sold every cookie, macaroon and muffin they had on hand during a bake sale on Friday, June 22 2018, to help migrant parents caught crossing the border and their children who were sent to shelters. Chocolate brownies with orange and cream cheese frosting, lemon tarts with a sweet golden meringue, mini-macaron cookies in pastel colors and pans of moist tres leches cakes topped with strawberry jam and cream are spread across the table enticing customers to buy them — and, at the same time, help a migrant child crying at the border. Bake sales, of course, have been used for decades to raise money for church supplies and school programs, but on Friday, these decadent treats made by two Salt Lake City bakeries — Fillings & Emulsions and Gourmandise — were on sale to gather donations to help migrant parents caught crossing the border and their children sent to shelters. 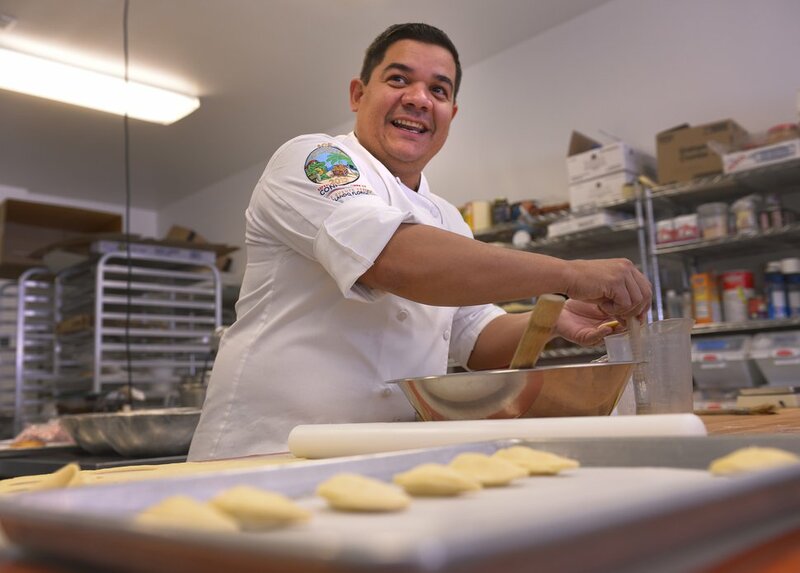 (The Salt Lake Tribune | Leah Hogsten) Adalberto Diaz Labrada, chef and owner of Fillings & Emulsions Bakery in Salt Lake City. Under a national policy to curb immigration, at least 2,000 minors — possibly more — were separated from parents and guardians since mid-April. After days of heartrending news coverage of crying children, President Donald Trump signed an executive order Wednesday to stop separations and keep parents and kids together. Pressure to halt the practice came from across the political, civic, business and religious spectrum from all around the world and Utah. “I know what it’s like,” said Adalberto Diaz Labrada, the chef and owner of FIllings & Emulsions bakery, and the sponsor of the “Families Belong Together” bake sale. When Diaz left Cuba more than two decades ago, he, too, arrived at a detention center at the U.S border. He was tired and scared, and it was so stressful he started losing his dark hair. “And I was 28,” he said. “What will happen to these kids? Watching the events from his couch in Utah, Diaz got the idea of holding a special bake sale. He soon recruited friends from Gourmandise. They brought almond horns, palmiers and two kinds of chocolate chip cookies. Christina Rojas, owner of La Cubana, joined in, selling slow roasted pork and rice bowls with black beans, pork and fried plantains. 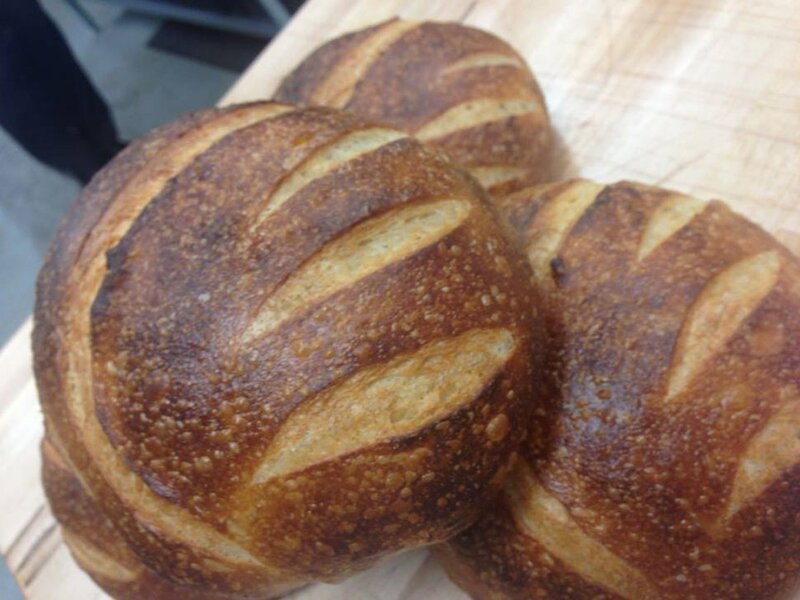 The sale will continue Saturday from 8 a.m. to 5 p.m. — or “until we run out” — at the bakery, 1475 S. Main, Salt Lake City, said Diaz. Besides buying biscotti, guava-filled pasteles, bread and other treats, many customers donated an additional $5, $10 or $20 for the cause. All the proceeds from the food sales will be donated to RAICES: The Refugee and Immigrant Center for Education and Legal Services. The nonprofit organization in San Antonio provides legal services to immigrants and refugees hoping to be reunited with their children. Michele Rivera of Salt Lake City said it has been “hard to comprehend” what was happening at the U.S. border. Cakes and cookies made in Utah may be able to help.